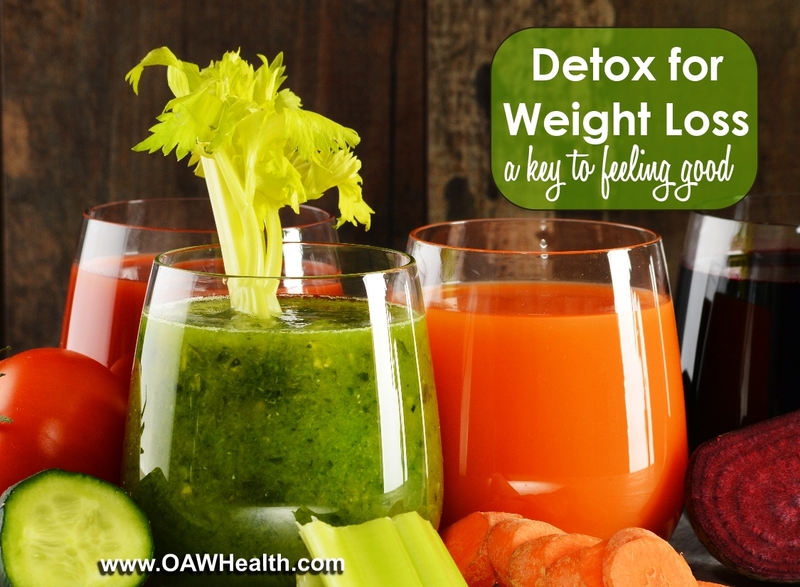 OAWHealth · Articles · Diet, Nutrition, & Weight Loss · Is Your Toxic Body Inhibiting Your Weight Loss? Why is my body so toxic? The more toxic or inflamed your body becomes, the harder it will be to lose weight and keep it off. The air we breathe, the food we eat, and the water we drink can combine with negative emotions (often caused by endless hours of TV, radio, and other media) to provide a constant stream of toxins in the body that significantly impact our health. This can result in inflammation and corresponding accumulations of fat, which may make losing weight difficult or nearly impossible. From what I have observed with my clients, there is a definite link between weight loss and toxicity levels in the body. There seems to be a definite correlation between the amount of toxins that the body takes in, despite all those seemingly “healthy” fad diets, and the difficulty of getting the weight the come off. In other words, if your body is toxic, it may be more difficult to lose weight. The build-up of toxic and irritating chemicals causes inflammation throughout the body. For example, toxins like PCBs, which also accumulate in fat and therefore damage it, are likely to be a huge concern. Most folks are consuming the Standard American Diet (SAD), which includes hormone and anti-biotic laden meat, grain-fed chicken, and even fish that is farm raised and fed with fertilizers. As we ingest these foods, the hormones and chemicals find their way into our digestive tract, which composes up to 80% of the immune system. We must also not forget the mercury that is found in most fish, the chemicals and solvents in Acrylic nails, chemicals and toxic excipients in the personal care products that we slather on our body, and mercury in amalgam dental fillings. All of these are toxic and harmful to our health, and they are also disastrous to our attempts at losing excess weight. The “love handles” and “stomach pouch” around your waist could actually be toxic-waste storage sites! Toxins may trigger inflammation, which is a huge health issue, being the primary cause of heart disease, Alzheimer’s, arthritis, asthma, and many other degenerative diseases. These are the areas of the body where most people have difficulty losing weight. Could it be because most diets do not teach how to eliminate toxic over-load? I believe the answer is a resounding YES. When toxins begin to build up in your body, and the liver and digestive tract can’t process and eliminate them effectively because they are already not working at peak levels, you develop a condition called “toxic overload”. Some initial symptoms of toxic overload include lack of energy, depression, cravings for sugar, environmental allergies, food sensitivities, and excessive mucus production. Other signs of a toxic body are: foggy thinking, mood changes, constipation, sallow and saggy skin, respiratory concerns, joint aches, acne, eczema, psoriasis, and easily contracting colds, flu, and infections. Ok…Ho Hum…Just What About Diet? Most of us consume far less fiber than the body needs, while simultaneously ingesting excessive amounts of sugar, refined white flour, saturated fats/hydrogenated oils, and too much non-organic animal protein. The digestive tract needs fiber to help neutralize toxins and to keep things moving in the intestinal system, thus preventing putrefication which can result in illness and disease. Every one of us is toxic to some degree, and we all have a certain amount of poisons stored in our bodies. We can compare this to forgetting to empty the trash in your home every day. Soon the garbage piles up, begins to overflow, and the odor can making you feel nauseous just from walking past it. This is essentially what happens in your body when you take in toxins and don’t get rid of them via proper and effective elimination. The body has a very efficient waste management system that keeps you healthy when it is functioning properly. However, like a home where the garbage is not taken out, your digestive tract (remember this is where 80% of your immune system is located) can become overwhelmed with toxins that may result in a myriad of diseases or illnesses. How can this be avoided? Unless you live in a bubble with a pristine diet, toxins cannot be entirely eliminated because we have allowed our planet, air, and food sources to become so very polluted. The chemicals and excipients used in pre-packaged and GMO foods, prescription drugs, synthetic supplements, household cleaning products, personal care products and lawn care products all contain numerous toxins. We literally walk through a maze of hormones, electrical-magnetic frequencies, and dangerous chemicals just by exiting our homes! Don’t lose hope. There is a solution to solve this dilemma. The answer is “detoxification”—a process that will help you begin to lose weight, and eliminate inflammation to boot. This is NOT about popping pills, eating mass quantities of only two to three “special” foods, or exercising until you drop. It IS about cleaning up your body by removing toxic overload and enabling it to be in a position to heal and repair itself. We must be aware of the fact that during cleansing and detoxification, our cells, tissues, and organs start to dump accumulated waste products from cellular metabolism, as well as chemicals, pesticides and other toxins. Many people will actually feel a bit worse during the detoxification and cleansing period. However, this is only the initial result of truly eliminating built-up toxins. While it may be uncomfortable for a while, it will not last long, nor will it harm you. Actually, it is a good sign that the body is responding to the cleansing efforts! Eat more organic foods, including free-range organic chicken and low fat organic free-range dairy. Thoroughly wash all vegetables, fruits and meats before preparing. Eating at home will not only save you money but will also save your body from the toxic ingredients of fast food and pre-packaged foods. Consume healthy fats and oils every day, such as organic flax seed oil, hemp seed oil, coconut oil, and tea oil. Eliminate all hydrogenated oils. Perform a liver/gallbladder cleanse once every two weeks for the first two months. Thereafter, do a flush quarterly at the beginning of every season. Perform a complete digestive tract cleanse before doing your first liver/gallbladder flush. Once you begin the liver/gallbladder and digestive cleanse flushes, you will want to keep your body clean and free from as many toxins as possible. I urge you to get my best-selling e-book, Optimum Health Strategies…Doing What Works, which will guide you through a total whole-body approach to getting well and staying healthy, including a very wholesome and easy-to-follow diet.